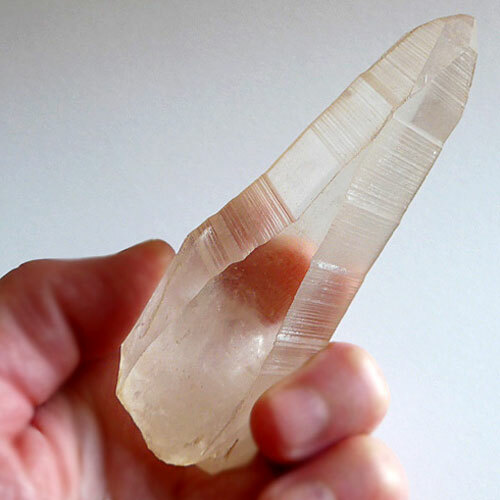 Lemurian seed crystals were first collected at a mountain top mine in Brazil and were immediately recognized as a unique new type of healing stone. These increasingly rare Lemurian stones often have a matte finish, and many have a pink to reddish glow when in the natural, unpolished state. We frequently use them in our healing practice and for meditation. More varieties are being discovered in New Lemurian Mines every year. If you want to learn more, read Chapter 2 of Spirits of Stone: Using Quartz Crystals for Healing and Meditation to learn about the history, origins and uses of many varieties of Lemurian Seed Crystals.